Expired: Sonic – $1 Hot Dogs All Day 3/23! Looking for a quick meal idea? 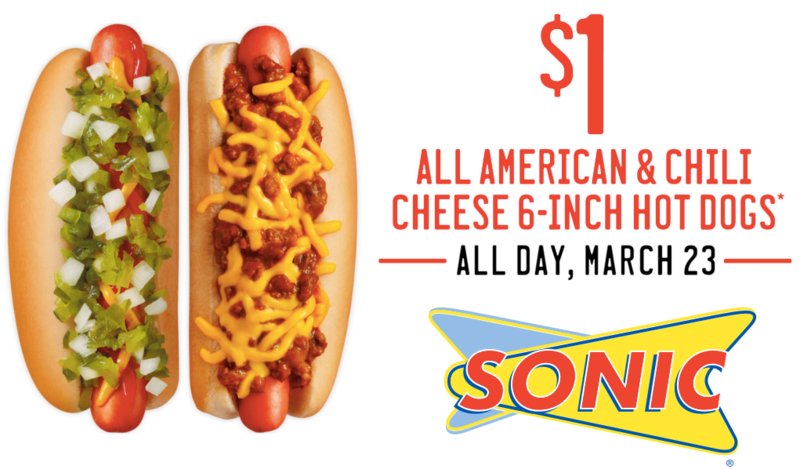 Swing by Sonic tomorrow, 3/23, and grab $1 hot dogs all day! Go after 8 and you can get 1/2 price shakes too! All American & Chili Cheese 6-inch Hot Dogs Only. Limit 5. All Day, March 23. Must mention when ordering. Tax & add-ons extra. Huge Savings on Kid’s Winter Coats!